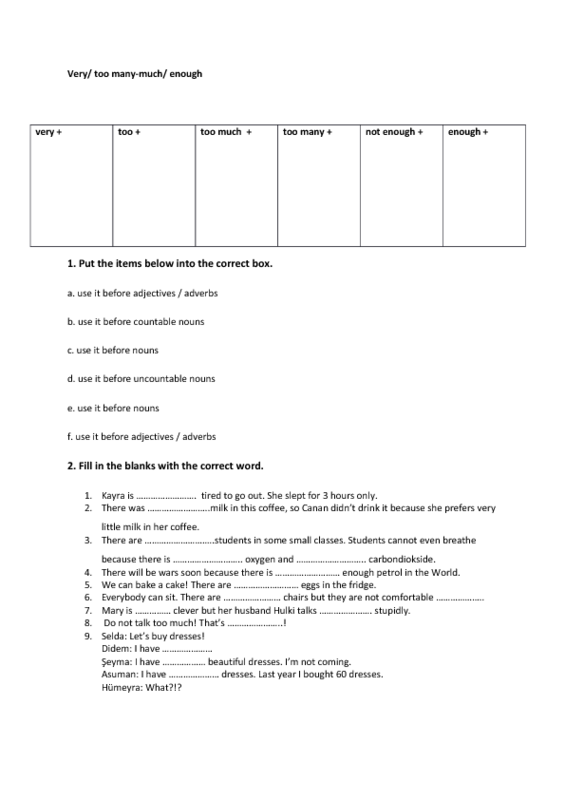 It is an A2 level worksheet which you can use to revise "very- too many- too much- enough". 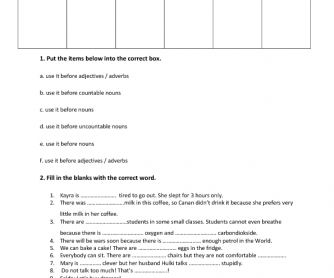 Students put the rules into the correct box and go on with a gap-fill exercise. Ask them to produce a text full of adjectives in pairs, and then they can exchange their text in order to add the adverbs you taught.